I had a whole post in my head, ready to type out during my layover in Denver this afternoon. Then I got sick, like, forced to go to urgent car and told than I shouldn’t fly for 3-4 days. Other than not feeling 100%, I’m glad to spend the extra time with M. I’ll take it wherever I can get it. 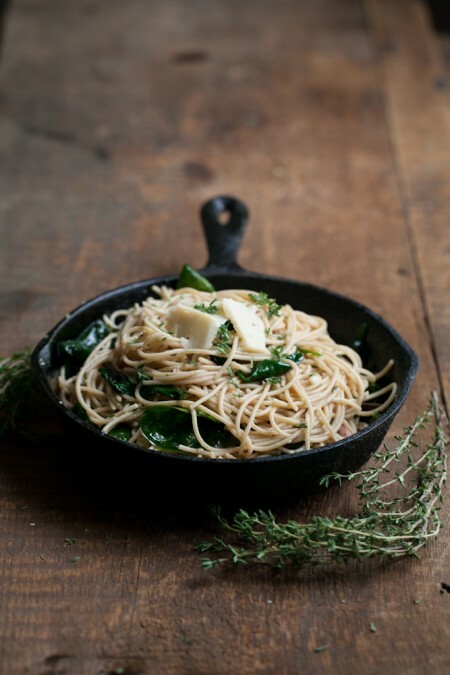 So today I’m sharing a super simple pasta dish. I love butter, like really love butter. Coupled with a bit of garlic and herbs, I think it makes the perfect sauce to pair with pasta. 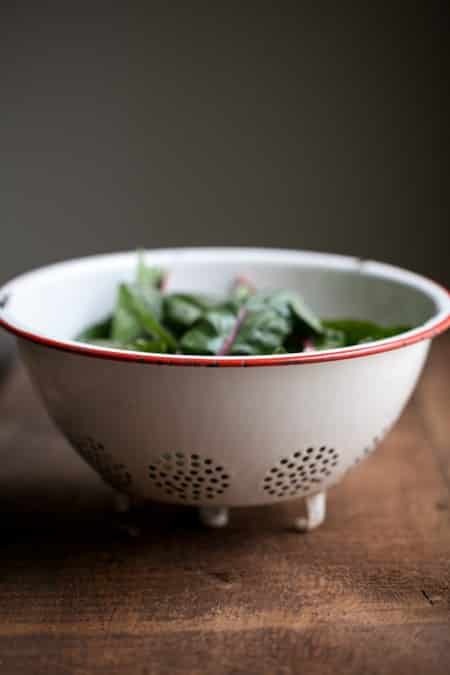 This dish is amazingly easy and be used as a base for many additions. 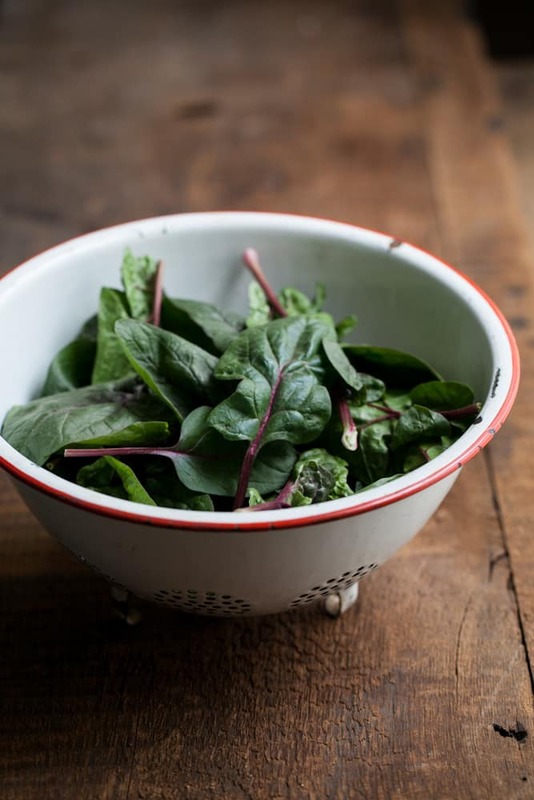 Add in different greens, herbs, and cheese- use whatever you have on hand. I also have to put emphasis that when I say butter, I mean organic butter- the extra taste helps put a little “oomph” behind the dish. In a sauce pan, heat butter over medium-low. Mince garlic and add to pan. Saute for 1, add thyme, and cook for 1 more minute. Add spinach to butter mixture and cook until spinach is wilted. Bring a pot of water to a boil. Add pasta and cook until tender. Drain and add pasta to spinach mixture. Sprinkle parmesan on top and mix everything together. 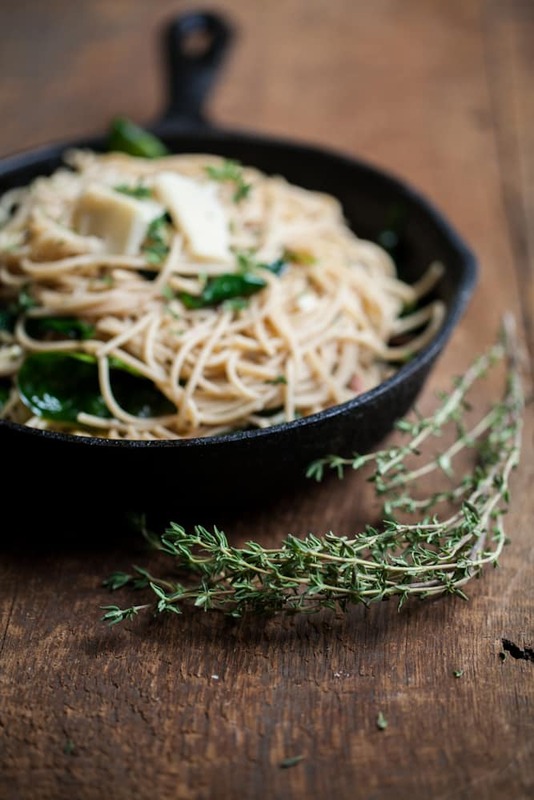 Serve with an extra sprinkle of parmesan and thyme. *The majority of Parm isn’t vegetarian friendly, however, there are brands out there that are made without rennet. Check the package if you are concerned! Love the simplicity to this. What a fabulous recipe! I think I am going to make this for supper tonight! I have all of the ingredients! YUM. This looks fabulous. 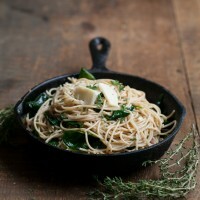 I love simple pasta dishes…this looks like it would totally ‘hit the spot’! I love a pasta dish which is light and not loaded with tomato sauce or cheese sauce. Hope you are feeling better now! This looks like a yummy bowl of love. So simple yet so perfect. Just beautiful! Is there anything more comforting than butter and noodles? Hope you are back to health! This looks delicious! This sounds so simple and comforting when you’re down. Hope you’re feeling better! now go 1 step further and make it paleo and use spaghetti squash instead of pasta. If you cook the spaghetti squash whole in the microwave -(poke with a knife first) 6 minutes on one side -let rest a few minutes, turn over and 6 more minutes let rest another few minutes. cut crosswise and scoop out seeds and then scoop out squash you get a really great al dente (spelling?) experience… can’t wait to try it sounds delish! 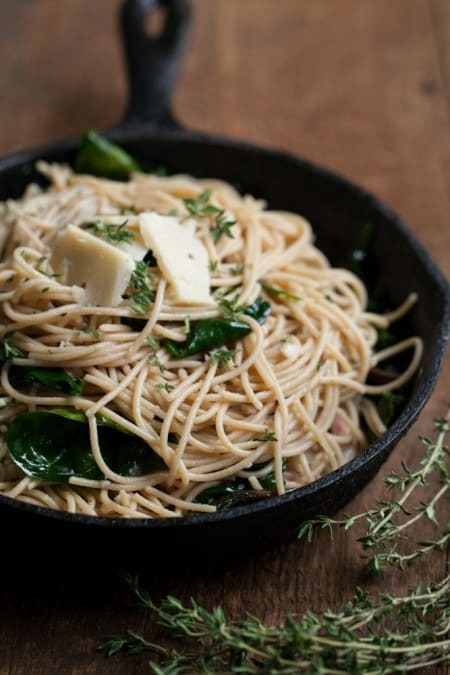 Ugh; I hate to be the one to spoil the party for vegetarians who stumble upon this recipe…but parmesan is far from being suitable for a vegetarian diet. Made for dinner tonight… Delish!! One of my new easy go to dinners!! Thanks! This dish looks absolutely lovely. A bowl of comfort. I am enjoying your recipes and have a question. Did you really mean 3 oz of pasta in the ingredients listed above? This type of pasta dish (also great with peas or baby kale or arugula or…) is a regular at my house but I use a full package, about a lb.